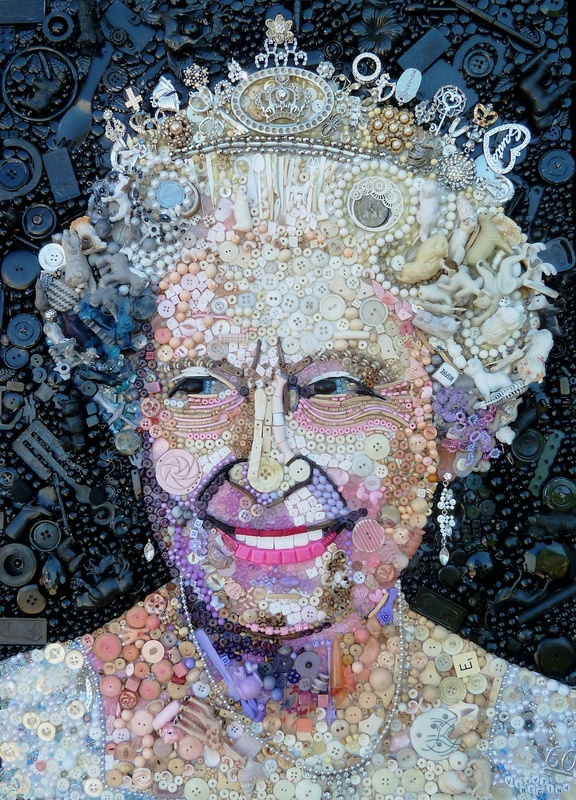 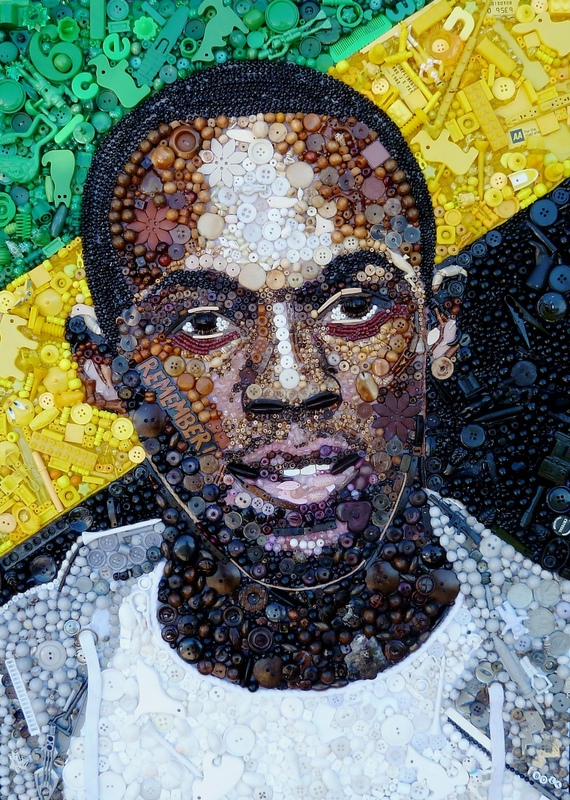 UK-based artist Jane Perkins obtains her inspiration in found objects. 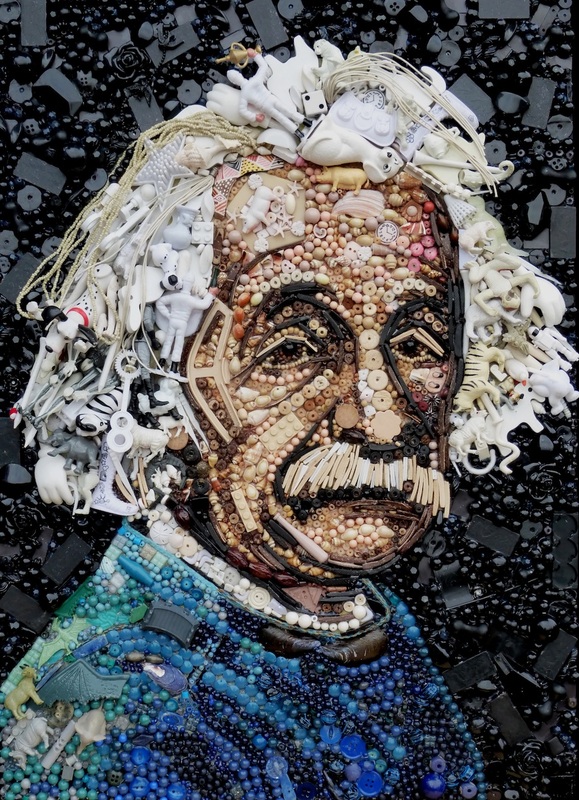 She uses anything from toys, shells, buttons, beads, jewelry etc. 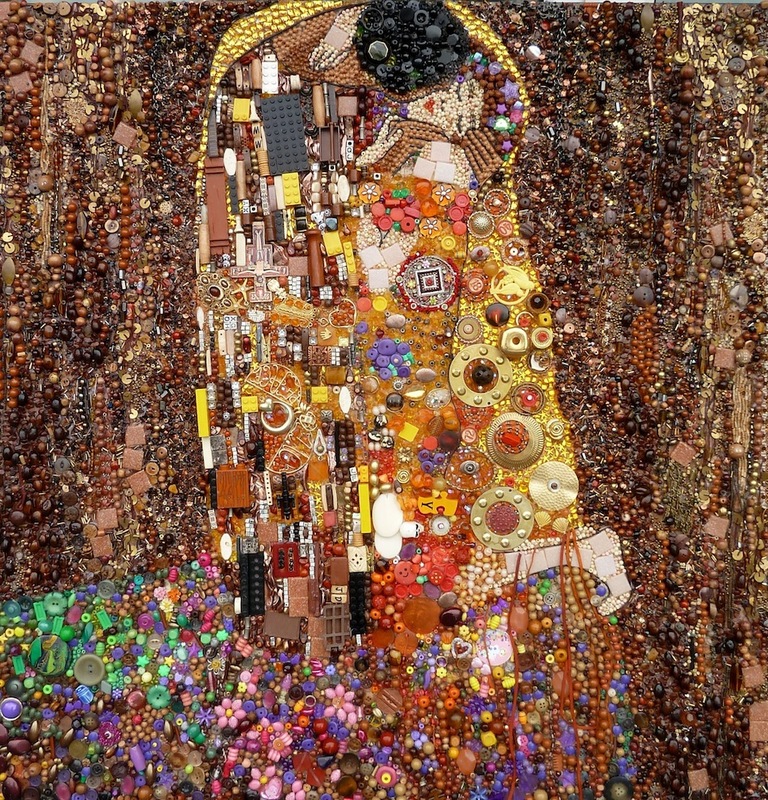 as material for her re-interpreted contemporary art. 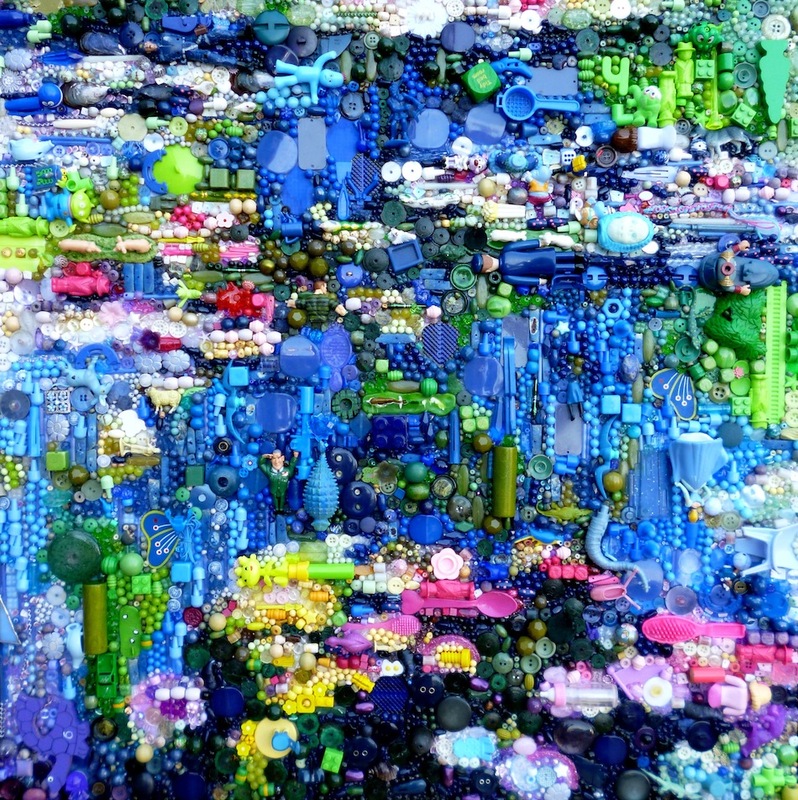 Perkins states that she doesn’t add any color, her work comes out of spontaneously placed small pieces of right size and shape. 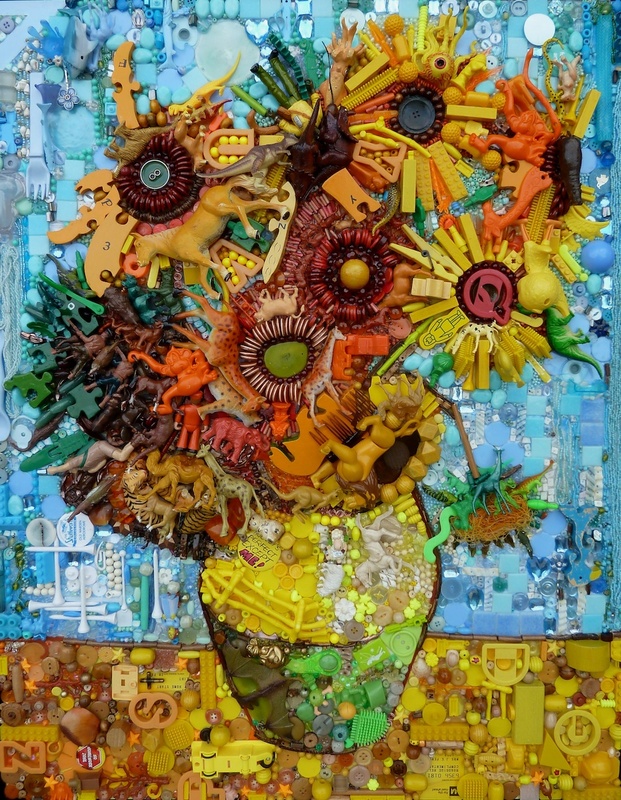 Inspired by impressionist artist and famous portraits, Perkins achieves a mesmerizing effect in her creations. 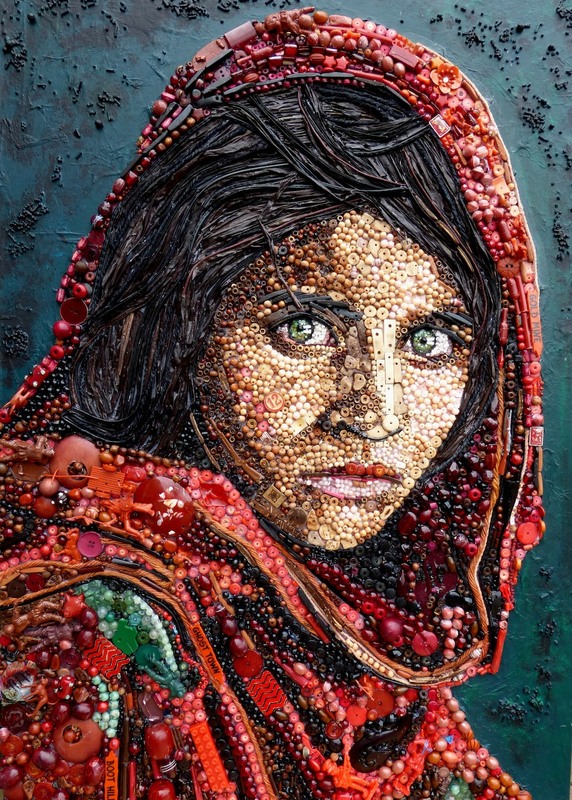 Her work keeps your eyes attached from a distance view and a close-up as well. 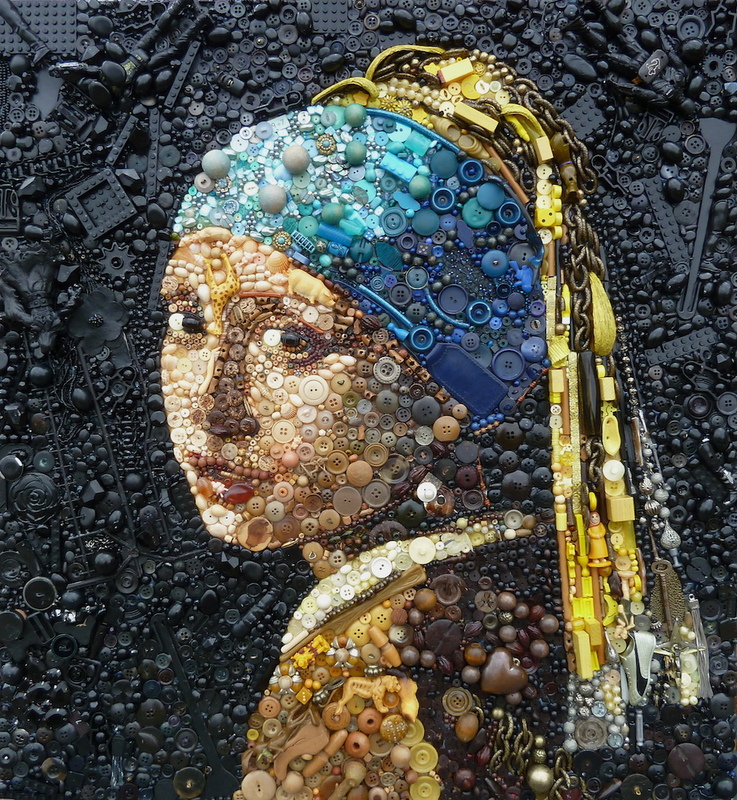 So many interesting small pieces perfectly arranged to masterpieces.